When you think of what personifies an online influencer, most of us will automatically think of the young, glossy, pout perfected insta-clones that seem to be saturating the digital world. You know the ones! 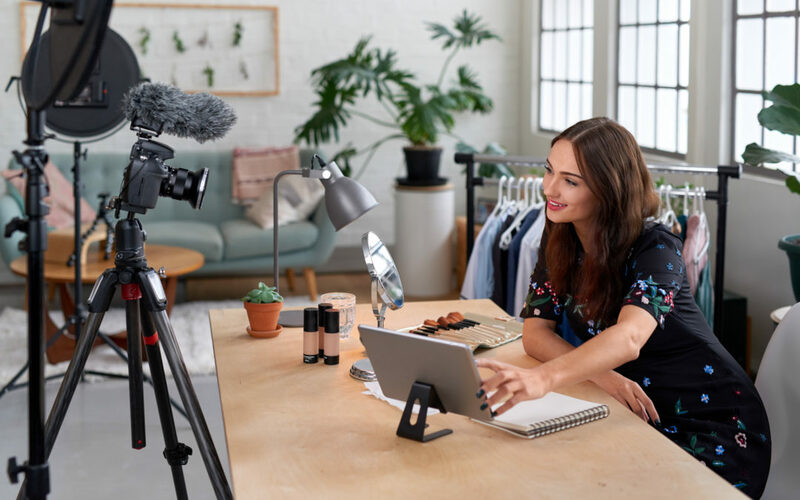 When social media was in its infancy, especially image and video based platforms, Fashion & Beauty was the category that spurred major growth for the likes of Instagram and YouTube. Alongside Lifestyle, Parenting, Food & Drink and Travel, it is one of the five categories that has dominated the social web over the last three years. However, a recent report by Vuelio has found that Fashion & Beauty now appears to be in significant decline, experiencing its biggest drop in since 2016. 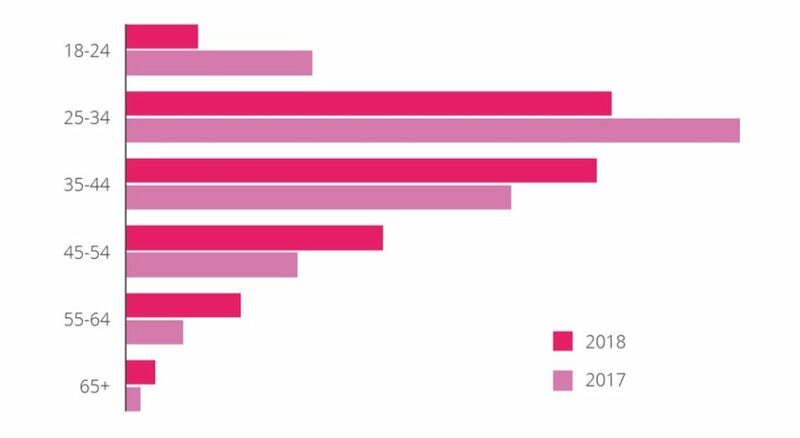 And with the biggest change this year being a widening of influencer activity across age groups, with more aged 35 and over sharing their lives with the digital world, this is certainly not a hobby or career preserved for the young. The largest group (34%) remains the 25-34 year olds, very closely followed by the 35-44 age group (33%), as the chart below shows. In terms of growth however, it is those aged 35 and over that are driving social growth; particularly in Parenting, Food & Drink and Travel. Interestingly, Travel was the only area shown to be significantly addressed by male and female bloggers equally, with an exact 10% men vs 10% women. So if the likes of @MrsHinch and @MrsGiFletcher are anything to go by, age is certainly no reason to think you can’t be the next digital superstar!